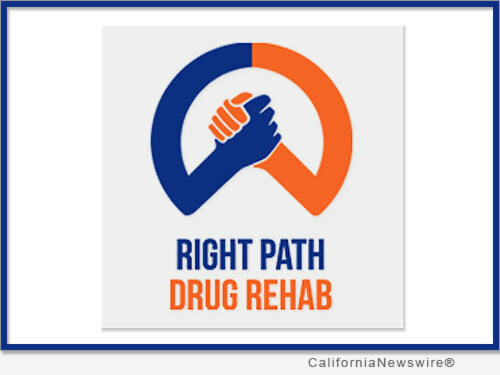 LOS ANGELES, Calif. /California Newswire/ — At Right Path Drug Rehab, their compassionate and knowledgeable staff members focus on restoring clients to their maximum potential through an individualized addiction recovery program, complete with support in all areas. No one should have to face recovery alone, especially because those individuals in recovery who lack a sober network of support tend to experience relapse after returning home from their addiction treatment center. Tracy Lei, an intake coordinator, says that, "We have helped so many clients on their journey to recovery, and we want to help you too!" Right Path Drug Rehab's network of providers offers welcoming and modern dual diagnosis rehab centers that specialize in designing individual addiction recovery programs for each client who enrolls at their treatment facilities. Right Path Drug Rehab's staff members work together to identify and address both the psychological and physical aspects of each client's addiction, so that they can construct a strong foundation for lasting sobriety. Treatment with Right Path Drug Rehab's network of providers starts with a clinically managed detox where clients can rest assured that they will not have to undergo stressful withdrawal symptoms throughout the detox process. Every individual will go through comprehensive assessments so that staff is able to determine the right amount of support for each person. Because of Right Path Drug Rehab's low client to staff ratio, staff members are able to devote significantly more time to each client in treatment, monitoring them closely as all addictive substances leave their bodies. After clients complete a successful detox, they move into one of Right Path Drug Rehab's luxurious and modern sober living facilities in order to learn sober social norms alongside other individuals in recovery. Right Path Drug Rehab is committed to keeping the client to staff ratio low at each one of their housing accommodations as well, in order to be able to work one on one with clients in relapse prevention techniques and positive coping mechanisms. Because of the limited amount of residents in Right Path Drug Rehab's luxury housing facilities, case managers and support staff are able to facilitate positive practices such as yoga, meditation, exercise, art, 12 step programs, group therapy and one-on-one counseling so that each individual can acquire inner strength through these practices as they recover. Staff members are dedicated to helping every client discover which of these practices work best for them. Right Path Drug Rehab's housing accommodations offer transportation arrangements, 24 hour fitness centers and private chefs at each meal. Their network of providers features rolling enrollment periods to maintain those low capacity limits that allow for individualized treatment. Rolling enrollment means that every client will have constant access to comprehensive care and their broad spectrum of services whenever they are needed. Contact Right Path Drug Rehab's staff of professionals today at http://www.rightpathdrugrehab.com/.